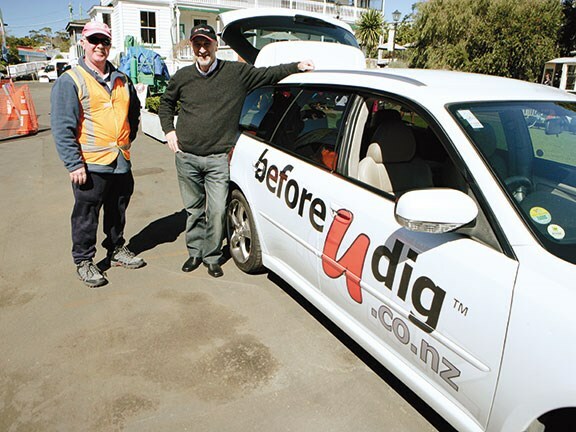 Doug the Digger (aka Alistair McIntyre) has hit the tarmac again, getting around a sizeable chunk of the North Island on a month long road trip to promote the contracting and associated industries to youngsters as future professional career paths. 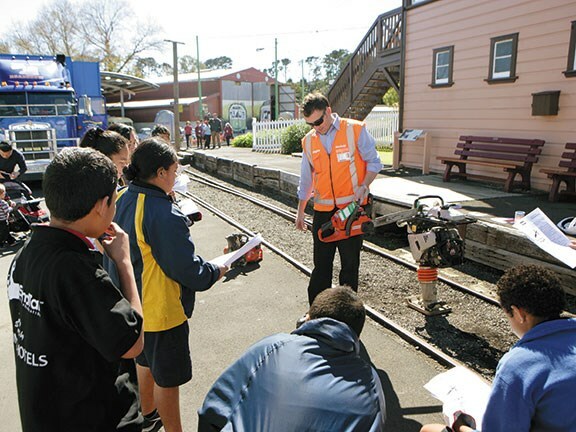 Through either age appropriate programmes, Doug the Digger or Youth into Industry, McIntyre gets the important messages across in a fun and interactive way, allowing students to make informed decisions, so students know exactly what is expected of them, and as should happen in the real world, there is a toolbox meeting at the start of either programme. Lessons of life experiences are well-taught, covering the importance of skills such as reading, writing and arithmetic with a positive attitude that is a necessity for future employment. The first part of McIntyre's travelling road show has taken them from their home base in Whangarei down through the Waikato. 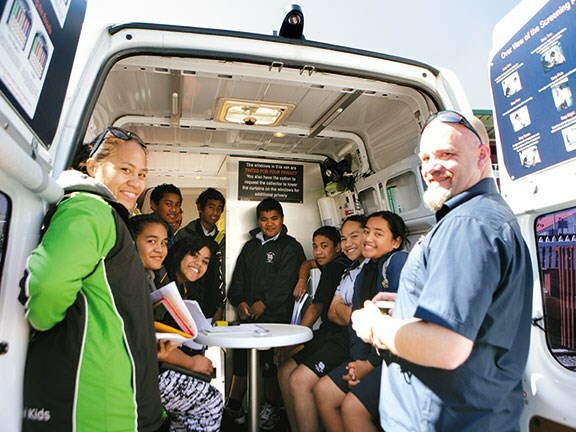 With the assistance of the Tai Poutini Polytechnic Waikato Digger School trainees, they showed Matamata Intermediate pupils what it takes to pre-start and operate machinery in a safe work environment. Not to be outdone by the older kids, Ngatea Kindergarten pupils were also included as part of the Waikato tour, and McIntyre's Kenworth K100E along with the Gough Cat 301.8C mini excavator , affectionately known as Little Cutie, must have been the highlight of the little tykes' week. 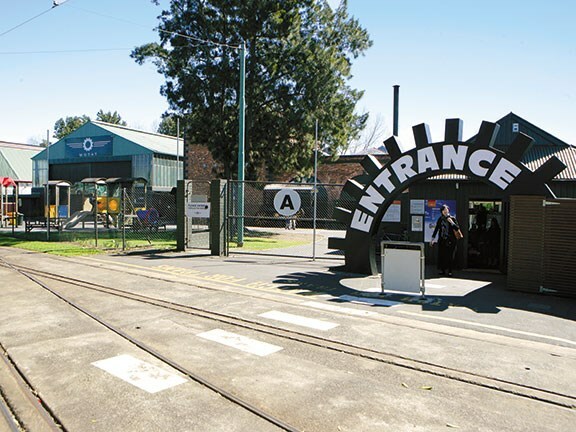 Backtracking to the Museum of Transport and Technology (MOTAT) in Auckland, the road show was joined by the New Zealand Drug Detection Agency (NZDDA), Hirepool, Before U Dig and Collings Earthmoving. 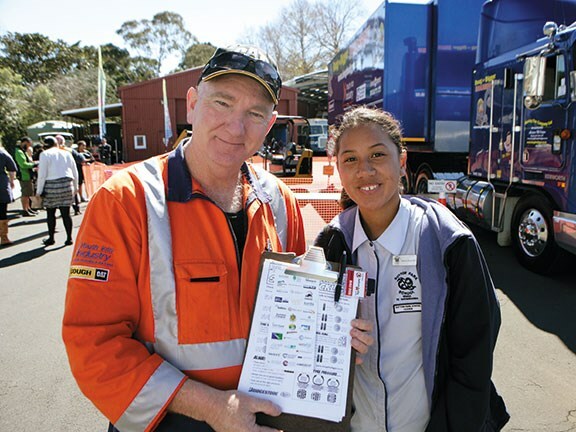 The Choice Foundation, which runs the Standtall leadership programme, selected 40 year eight students, who have worked hard to qualify for this unique opportunity, to get a snapshot of what skills and attributes they will require if they want to be a part of the contracting industry. After the toolbox meeting, students filled in pre-start check-sheets with information gathered from the site tour led by Collings Earthmoving, before getting hands-on with the mini excavator. This was followed by a lesson from Before U Dig on what happens when you dig before you know what is underground. The kids were then shown how to safely handle petrol-powered equipment, courtesy of Hirepool. Rounding off the students' lessons was the all-important personal responsibility talk from the New Zealand Drug Detection Agency. Chris Skinner and Amanda Coup from Massey High School in West Auckland were on a fact-finding mission to see if the Youth into Industry program could be integrated into the alternative learning programs the school was already running, and had brought along a student that has struggled with the education system. McIntyre says the student stepped up and was used to help guide the other visiting school pupils around one of the evolutions. As McIntyre points out, a lot of youngsters that struggle with traditional learning methods sometimes hit a downward spiral, but can quickly be brought back on course if they are able to connect with learning methods they understand and relate to, raising their levels of confidence and ultimately meaning they become positive members of society. 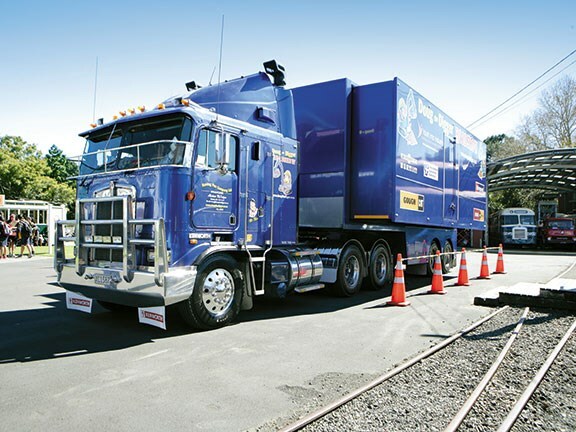 The MOTAT visit concluded, the Doug the Digger road show packed up and headed off down highway one ready for a busy three weeks visiting 45 schools, as a Duffy Books in Homes role model.